The Pro 1 version of Giant's classic TCR road bike features a Shimano Ultegra 8000 drivetrain, brakes and tubeless tyres on SLR 1 composite wheels. Shimano's Ultegra 8000 2x11 shifters and gear mechs offers precise and stronger shifting bringing this shift ever closer to Dura-ace! 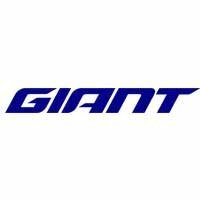 Every Advanced composite frame is hand made by Giant in their own specialist carbon frame-building facility, using the following process. Blending performance-grade Toray T700 carbon filament and resin with vibration-absorbing particles helps maximise frame strength and rider comfort. Modified Monocoque Construction: the front triangle is assembled and moulded as one continuous piece. The main frame is then joined to the rear chainstays and seatstays in a secondary process. This process eliminates the outermost woven composite sheet to reduce weight without affecting ride quality, strength or stiffness.